Especially in juvenile cases, officers will charge noncompliant people in a multitude of scenarios with disorderly conduct even when no specific crime is committed. Juveniles are especially susceptible to receiving a disorderly conduct charge because many Florida schools have police officers on campus at all times. At every school, there are always the kids who act out and show disrespect for authority. These situations can escalate and even in instances in which no documented crimes are committed, a kid can end up with a disorderly conduct charge simply for challenging the authority of a law enforcement officer. In the Florida case Gonzales vs. the City of Belle Glade, a person was arrested for disorderly conduct because they were dissatisfied at the service they received at a local restaurant. Gonzales yelled at the restaurant employees and the responding police officers, where Gonzales was charged with disorderly conduct. No threats were made to the employees, nor to the responding law enforcement officer, and no property damages occurred at the time of the incident. In court, the judge ruled in favor of the defendant, stating that the defendant did not corrupt the public morals, or outrage the sense of public decency, but the entire situation was merely an annoyance to the restaurant patrons. Mere annoyances do not constitute a criminal offense and thus the conviction was overturned. Disorderly conduct is a misdemeanor of the second degree, punishable by up to 60 days in jail, a fine of $500.00 and up to 6 months of probation. Disorderly conduct is a relatively defendable charge due to the broad nature of the charge. As decided in Gonzales versus the City of Belle Glade case, a conviction cannot stand where the accused merely created an annoyance in public with their words so long as no threatening or fighting words were dispelled. The First Amendment of the United States’ Constitution protects free speech with exceptions to “true threats” or “words like shouts of ‘fire’ in a crowded theater,” because such words cause fear and panic in reasonable people. Disorderly conduct charges usually involve instances in which people speak disrespectfully, use profanity or shout obscenities at law enforcement officers. Police officers are not designated protection from free speech as provided by the First Amendment. This means all Americans have the right to say whatever they want to government agents, including police officers, so long as the content of their speech is not threatening or intimidating. For example, a juvenile can legally say “I hate police officers” to a law enforcement officers and be perfectly within their rights, however they cannot legally say “I’m going to shoot you” to the same officer. The latter comment would result in a disorderly conduct charge at the very least, if not an aggravated assault charge. The South Florida juvenile lawyers at The Ansara Law Firm understand that kids act out from time to time, and that they need to learn from their mistakes. School administrators and campus police officers will seek to make an example out of noncompliant students as a means of maintaining their authority, so students can end up with a disorderly conduct charge. Don’t let your child’s permanent record become stained with a criminal offense when they were acting within their constitutional rights. The Ansara Law Firm has a strong reputation for defending the rights of every client we represent. No person’s constitutional freedoms should ever be overlooked or cast aside during criminal court proceedings, and we’re here to make sure that it doesn’t happen. Don’t leave your child’s future up to the judge. Call any of our office locations today to schedule a free consultation. 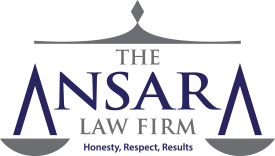 If you, your child, or the child of a friend or loved one have recently been charged with juvenile disorderly conduct, call The Ansara Law Firm immediately at (954) 761-4011 to schedule a free initial consultation to discuss your legal matter.